DORIN FRANKFURT excels at creating simple styles that are so effortlessly cool. 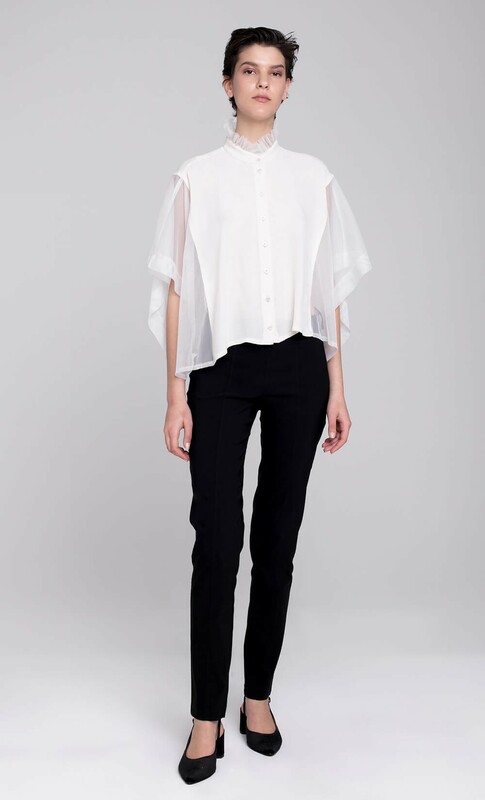 This button down top is cut for an oversized fit and has a raised, adorned collar. The loose silhouette and unique buttons provide a minimalist sensibility.